Gerry Tsai, Director of Applications and Fintech at the SF Fed, provides an overview of the bank regulatory and structural landscape in the US as it pertains to digital payments and rise of payment-oriented fintech firms. With the rise of nonbank payment firms and challenger institutions in Europe, Asia and other parts of the world, Gerry will discuss how regulatory and other considerations could impact the potential for such developments in the US. In the discussion, Gerry will review regulatory considerations for fintech firms partnering with banks, bank licensing and applications options for fintech firms, and consider how other jurisdictions have approached similar matters. Gerry will also discuss his experiences with the SF Fed’s Fintech Navigate program (https://www.frbsf.org/banking/fintech/) which conducts office hours and similar engagement programs with fintech firms and other institutions. Disclaimer: The views that Mr. Tsai will express are solely his own, and may not represent the view of the Federal Reserve Bank of San Francisco, the Board of Governors, or any other part of the Federal Reserve System. 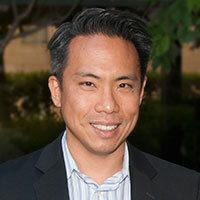 Gerry Tsai is a director in the SF Fed’s Financial Institution Supervision and Credit Group where he leads the Bank’s fintech team. He is especially interested in financial regulatory and payments matters. Gerry also leads the SF Fed’s regulatory applications function and formerly practiced as a banking and payments lawyer. John is a Senior Vice President for Wells Fargo’s Technology Banking Group (San Francisco) where he manages client originations on national basis for growth stage, innovation based companies. He has a strong practice interest and expertise around all aspects of payments and commerce enabling technologies. John is a long time serving board member for AAMA and regional lead for Northwestern University. William Schoch is President & CEO of WesPay, the nation’s oldest and one of the largest associations dedicated to helping members grow and improve their use of electronic payments. He is responsible for developing and implementing strategic initiatives to grow the association and provide maximum value to its 1200 members through information, education, and advisory services. He was appointed to his position at WesPay in 2008. In 2016, Bill was the incorporator of WesPay Advisors, a wholly owned subsidiary of WesPay, which provides payments consulting in the areas of payments strategy, process improvement and payments regulation. He serves as a Director and the Secretary of the WesPay Advisors Board. Prior to joining WesPay, Bill spent eleven years at Visa International serving in a variety of product leadership positions. He was the business manager responsible for the Original Credit Transaction (OCT), which is now marketed in the U.S. as Visa Direct. Prior to this assignment, Bill was the global product manager for Visa’s debit products and was the founder of the Visa International Global Debit Forum, which showcases new opportunities and best practices in debit program management. He was seconded by Visa to serve as the executive director of GlobalPlatform, a standards development consortium launched by Visa to proliferate multi-application smart card technology. Prior to Visa, Bill spent eight years with Citibank in the Global Cash Management division, where he was responsible for developing, marketing and implementing various payments and collections solutions for Citibank’s corporate clients. 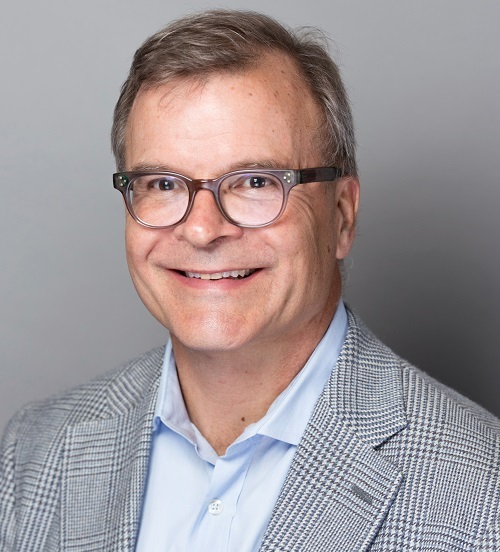 He started his professional career at NACHA where he provided staff support to the rules and operations committee and was actively involved in the development of business-to-business payment applications in the ACH Network. He received a Bachelor of Arts degree from Indiana University of Pennsylvania. 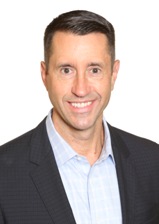 Bill currently serves on the Boards of WesPay, WesPay Advisors, NACHA-The Electronic Payments Association, and USA Technologies (NASDAQ: USAT). He has recently served on the Federal Reserve’s Faster Payments Task Force and the Steering Committee for NACHA’s Payments Innovation Alliance. Bill is a member of the American Society ofAssociation Executives (ASAE) and the California Society of Association Executives (CalSAE). He is a frequent speaker on payments-related topics.